Cut all the seat and back slats to size and round over their edges. Drill two clearance holes through each piece at every seat rail location. Next, notch the first seat slat at the front of the bench to fit around the front legs. 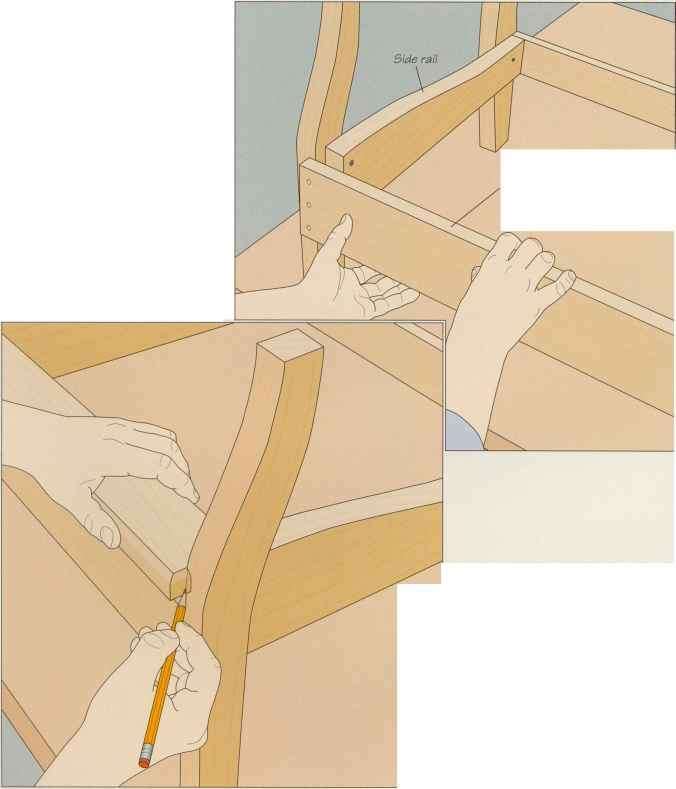 To ensure the slat sits flush against the curved front edge of the legs, hold it in position on the rails, outline the leg profile at each end with a pencil (left) and trim to the line with a chisel. Screw the slats in place, separating them with !4-inch spacers (page 61). Cut the front and rear rails to size and drill clearance holes at the ends of each piece. 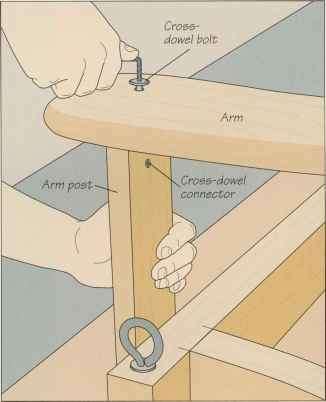 Using glue and screws, fasten the rear rail in place; drive one screw at each end to start, check for square, then install the remaining fasteners. Install the front rail the same way (right), then attach the third seat rail to the front and rear rails, centering it between the end units.